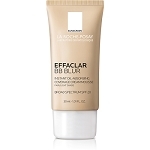 Effaclar is a range of daily skincare developed with dermatologists to provide efficient solutions to address the issues of oily and acne-prone skin. 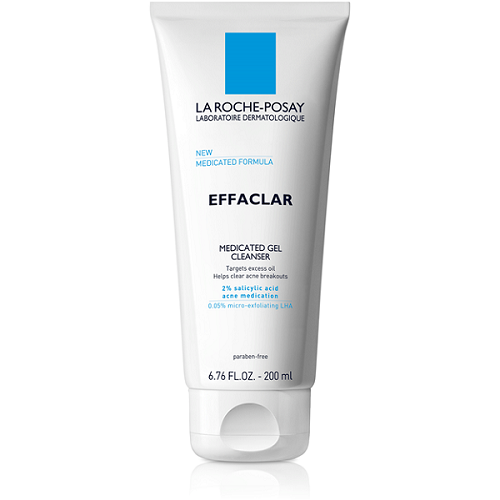 Effaclar Medicated Gel Cleanser thoroughly cleanses skin, removing excess oil and impurities without harsh scrubs that may irritate skin. 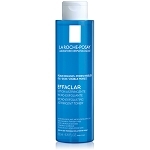 Clinically tested to reduce excess surface oil by 47%, leaving skin less oily throughout the day. Skin is deeply cleansed, breakouts are diminished. Skin looks even and smooth. Cleanse 2x daily, morning and evening. Wet face, apply quarter size amount onto fingers, and only using finger tips, apply gently on face in a rotating circular motion. Avoid getting into eyes. Rinse thoroughly. Gently pat dry using a soft towel. 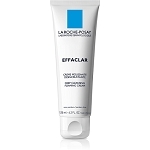 For best results follow with Effaclar Medicated Gel Cleanser and Effaclar Duo.